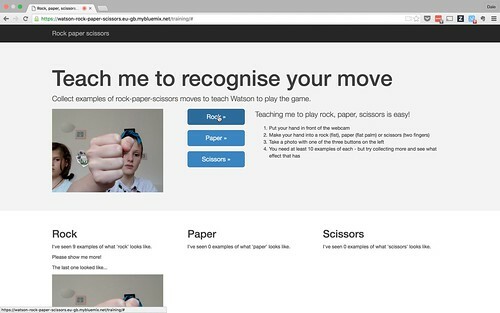 I’ve been working on a microservices app hosted on Bluemix. It’s one logical app, but it’s implemented and deployed as a bunch of separate Bluemix applications, each with it’s own separate responsibility. 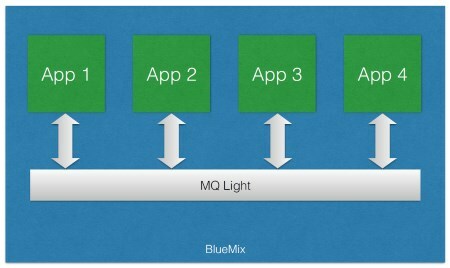 I’m using MQ Light as asynchronous messaging between the apps. Each Bluemix app publishes notifications about changes to resources, and the status of long-running tasks. This is working well, but I also want a web app to be able to get some of these notifications. If the web app has a resource open for editing, I want it to get a push notification if there are any changes to the resource. If the web app started a long-running task, I want it to get push notifications of status changes. I’ve done this by writing a small proxy, allowing a web app to subscribe to MQ Light topics and get the message via WebSockets. 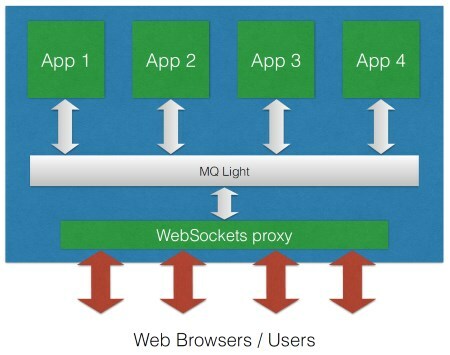 Essentially, it’s an mqlight-WebSockets bridge.